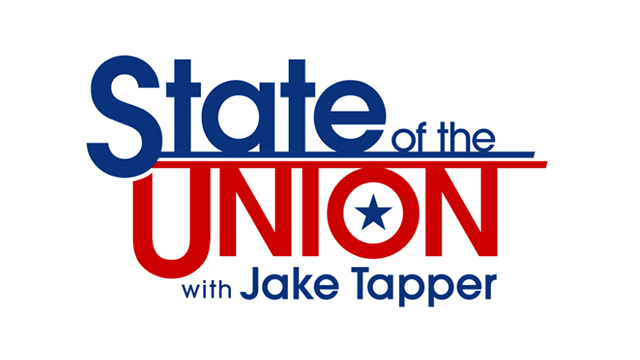 Today on CNN’s State of the Union, Senator Bernie Sanders, joins anchor, Jake Tapper to discuss the recent DNC e-mail leak, Wasserman Schultz as head of DNC, Clinton’s running-mate choice and more. Sanders responds to DNC e-mail leak: Well, I think it’s outrageous, but it is not a great shock to me. I think, as I said, it’s what we talked about six months ago. I mean, there’s no question to my mind and I think no question to any objective observer’s mind that the DNC was supporting Hillary Clinton, was in opposition to our campaign. So, I’m not quite shocked by this. And that is why many, many months ago, I made it clear that I thought Debbie Wasserman Schultz should resign, should step down, not only because of the prejudice I think they showed during the campaign, but also because I think we need a new leadership of the Democratic Party which is going to open up that party to working people, to young people, to have the kind of vitality we need to not only win the presidency, but gain control of the Senate and the House as well. [TAPPER] Senator, what is your personal response, though, to having your faith questioned like that by a fellow Democrat? Well, you are now a Democrat, or you were a Democratic candidate, but by somebody supposedly neutral and theoretically on your team? [SANDERS] Well, first of all, I am not an atheist. But aside from all of that, I mean, it is an outrage and sad that you would have people in important positions in the DNC trying to undermine my campaign. It goes without saying the function of the DNC is to represent all of the candidates, to be fair and even-minded.But, again, I — we discussed this many, many months ago on this show. So, what is revealed now is not a shock to me. I think the focus, though, that I am going to go forward on right now is to make sure that Donald Trump, perhaps the worst Republican candidate in the modern history of this country, somebody by temperament, somebody by ideology must not become president of the United States. I’m going to do everything I can to defeat him, to elect Hillary Clinton, and to keep focusing, keep focusing on the real issues facing the American people. And that is the decline of the American middle class going on for 40 years, massive levels of income and wealth inequality.And I will tell you, Jake, that I’m proud that, in the Democratic platform that was passed a few weeks ago, we are making some real progress. We’re talking about breaking up the large banks on Wall Street who have been ripping off the American people for years. Sanders on Wasserman Schultz as head of DNC: [TAPPER] Former Clinton Labor Secretary Robert Reich, a strong supporter of yours, he threw down the gauntlet Saturday. Take a look at what he wrote on Facebook — quote — “Hillary should fire Debbie Wasserman Schultz now. Don’t wait until next week to replace her. Wasserman Schultz and other top officials of the DNC tried to sandbag Bernie’s campaign.” And your campaign manager, sir, said there need to be repercussions. What repercussions need there be? Should Wasserman Schultz be fired? Should these other staff members at the DNC be fired? [SANDERS] Well, I asked and demanded Debbie Wasserman Schultz’s resignation many, many months ago. And I state that again. I don’t think she is qualified to be the chair of the DNC, not only for these awful e-mails, which revealed the prejudice of the DNC, but also because we need a party that reaches out to working people and young people. And I don’t think her leadership style is doing that. Sanders on Kaine as Clinton’s running mate:[TAPPER] Let’s turn to Senator Tim Kaine. He is Secretary Clinton’s choice for vice president. Take a look at what Donald Trump tweeted this morning — quote — “Looks to me like the Bernie people will fight. If not, their blood, sweat and tears was a total waste of time. Kaine stands for opposite” — unquote. Senator, do you think Tim Kaine stands for the opposite of your political revolution? [SANDERS] Well, compared to Donald Trump, certainly not. Look, I have known Tim Kaine. Tim is a fellow senator. I have known him for a number of years. Tim is an extremely bright guy, a very nice guy. Are his political views different than mine? Yes, they are. He is more conservative than I am. But compared to Donald Trump, a guy who rejects science, doesn’t even believe that climate change is real, let alone that we have to take bold action to transform our energy system, a Donald Trump who wants to give hundreds of billions of dollars in tax breaks to the top two-tenths of 1 percent, a Donald Trump who goes around the country insulting Mexicans and Latinos and Muslims and women, veterans and African-Americans, trust me, on — on his worst, worst, worst day, Tim Kaine is 100 times better than Donald Trump will ever be. JAKE TAPPER, CNN ANCHOR: I’m Jake Tapper. We’re live on the floor of the Democratic National Convention here in Philadelphia, PA. Lots of folks were expecting fewer fireworks here than at Donald Trump’s convention, which, of course, featured actual fireworks. But there is Democratic drama playing out here, leaked e-mails showing top DNC officials suggesting ways to undercut Bernie Sanders during his primary race with Hillary Clinton. Will these revelations shatter the already uneasy truce between Sanders supporters and Clinton supporters on the eve of this convention? TAPPER: Joining me now is former Democratic presidential candidate Bernie Sanders. Senator Sanders, always good to have you. Thanks so much. Let’s start with this bombshell from WikiLeaks, which got access to thousands of e-mails from the Democratic National Committee. In May 2016, the chief financial officer of the DNC, Brad Marshall, sent an e-mail to three other DNC staffers suggesting that the party should try to get someone to ask you about your religious beliefs. Here is the e-mail — quote — “It might make no difference, but for Kentucky and West Virginia, can we get someone to ask his belief, does he believe in a God? he had skated on saying he has a Jewish heritage. I think I read he is an atheist. This could make several points’ difference with my peeps. My Southern peeps would draw a big difference between a Jew and an atheist” — unquote. Senator Sanders, that is the chief financial officer of the Democratic National Committee. What is your response? SEN. BERNIE SANDERS (VT-I), PRESIDENTIAL CANDIDATE: Well, I think it’s outrageous, but it is not a great shock to me. I think, as I said, it’s what we talked about six months ago. I mean, there’s no question to my mind and I think no question to any objective observer’s mind that the DNC was supporting Hillary Clinton, was in opposition to our campaign. So, I’m not quite shocked by this. And that is why many, many months ago, I made it clear that I thought Debbie Wasserman Schultz should resign, should step down, not only because of the prejudice I think they showed during the campaign, but also because I think we need a new leadership of the Democratic Party which is going to open up that party to working people, to young people, to have the kind of vitality we need to not only win the presidency, but gain control of the Senate and the House as well. TAPPER: Senator, what is your personal response, though, to having your faith questioned like that by a fellow Democrat? Well, you are now a Democrat, or you were a Democratic candidate, but by somebody supposedly neutral and theoretically on your team? SANDERS: Well, first of all, I am not an atheist. But aside from all of that, I mean, it is an outrage and sad that you would have people in important positions in the DNC trying to undermine my campaign. It goes without saying the function of the DNC is to represent all of the candidates, to be fair and even-minded. But, again, I — we discussed this many, many months ago on this show. So, what is revealed now is not a shock to me. I think the focus, though, that I am going to go forward on right now is to make sure that Donald Trump, perhaps the worst Republican candidate in the modern history of this country, somebody by temperament, somebody by ideology must not become president of the United States. I’m going to do everything I can to defeat him, to elect Hillary Clinton, and to keep focusing, keep focusing on the real issues facing the American people. And that is the decline of the American middle class going on for 40 years, massive levels of income and wealth inequality. And I will tell you, Jake, that I’m proud that, in the Democratic platform that was passed a few weeks ago, we are making some real progress. We’re talking about breaking up the large banks on Wall Street who have been ripping off the American people for years. Hillary Clinton and I reached an agreement on a higher education plan that would guarantee free tuition at public — every public college and university in this country for families making 125,000 bucks or less, greatly expanding health care, and making sure that we make sure that millions of people gain access to primary health care and dental care. So, my focus right now is defeating Trump, electing Clinton, electing progressive candidates around this country, and focusing on the issues that matter the most to working families. TAPPER: Former Clinton Labor Secretary Robert Reich, a strong supporter of yours, he threw down the gauntlet Saturday. And your campaign manager, sir, said there need to be repercussions. What repercussions need there be? Should Wasserman Schultz be fired? Should these other staff members at the DNC be fired? SANDERS: Well, I asked and demanded Debbie Wasserman Schultz’s resignation many, many months ago. And I state that again. I don’t think she is qualified to be the chair of the DNC, not only for these awful e-mails, which revealed the prejudice of the DNC, but also because we need a party that reaches out to working people and young people. And I don’t think her leadership style is doing that. TAPPER: Let’s turn to Senator Tim Kaine. He is Secretary Clinton’s choice for vice president. Take a look at what Donald Trump tweeted this morning — quote — “Looks to me like the Bernie people will fight. If not, their blood, sweat and tears was a total waste of time. Kaine stands for opposite” — unquote. Senator, do you think Tim Kaine stands for the opposite of your political revolution? SANDERS: Well, compared to Donald Trump, certainly not. Look, I have known Tim Kaine. Tim is a fellow senator. I have known him for a number of years. Tim is an extremely bright guy, a very nice guy. Are his political views different than mine? Yes, they are. He is more conservative than I am. But compared to Donald Trump, a guy who rejects science, doesn’t even believe that climate change is real, let alone that we have to take bold action to transform our energy system, a Donald Trump who wants to give hundreds of billions of dollars in tax breaks to the top two-tenths of 1 percent, a Donald Trump who goes around the country insulting Mexicans and Latinos and Muslims and women, veterans and African-Americans, trust me, on — on his worst, worst, worst day, Tim Kaine is 100 times better than Donald Trump will ever be. TAPPER: According to the latest CNN poll, Senator, 40 percent of your supporters are not planning on voting for Hillary Clinton. They feel insulted, too. You talk about the insults that Donald Trump has leveled against minority groups. Your supporters feel insulted by Hillary Clinton, by Debbie Wasserman Schultz, by the Democratic National Committee. What is your message to them? SANDERS: This is my message, is that we have got to stay focused. And the immediate focus has got to be that a disastrous candidate like Donald Trump cannot be elected. My second message is that we continue the political revolution and fight for a government that represents all of us, and not just the 1 percent, fight to break up the banks on Wall Street, fight for a Medicare-for-all single-payer system, fight to rebuild our infrastructure and create millions of decent jobs, fight for real criminal justice and immigration reform. We have to focus on the issues. We have to elect progressive candidates all over this country running for the Congress, running for the Senate, running for school board. But we must defeat Donald Trump and elect Secretary Clinton. TAPPER: Senator Bernie Sanders, thank you so much for joining us. Let us know when you’re in Philly. I will take you out for a cheesesteak.